It is the Sunday of Forgiveness, known also as Cheese Fare Sunday. The Holy Gospel teaches us about forgiveness and fasting, and how both are crucial to our own return to Paradise. 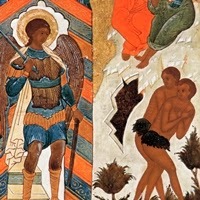 The divine Fathers also set the anniversary of the exile of Adam from the Paradise of bliss on this day, at the entrance of Great Lent, to show us by deed as well as word how great is the benefit that accrues to man from fasting and repenting; and, on the contrary, how great the harm that comes from destructive gluttony and from disobedience to the divine commandments. The sin of gluttony resulted in Adam and Eve’s banishment from Paradise, because they disobeyed God by eating from the tree which He had forbidden them. 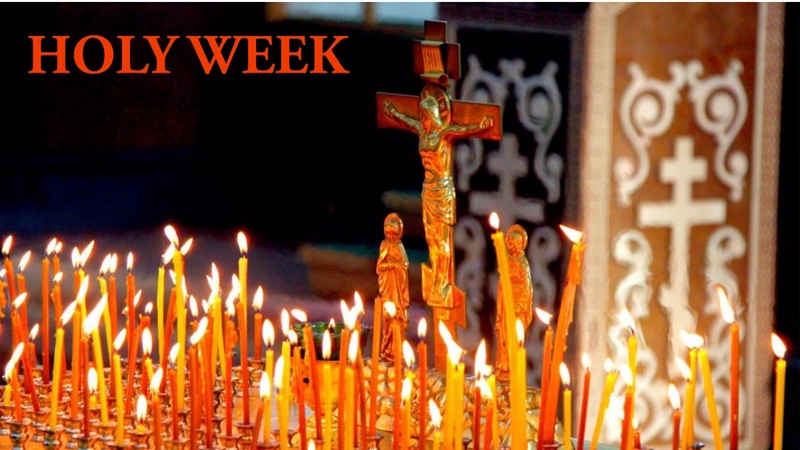 The Church reminds us of this event to encourage us to return to that ancient glory and primeval happiness by means of fasting and obedience to God and His commandments. 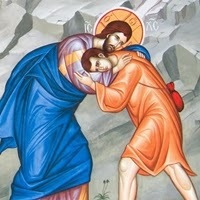 By Thine ineffable compassion, O Christ our God, make us worthy of the delight of Paradise and have mercy on us, as Thou art alone the Lover of mankind. Amen. The Lord, my Creator, took me as dust from the earth, and with the breath of life He gave me a soul and made me a living creature. 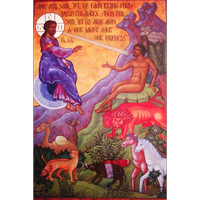 On the Sunday of Forgiveness Holy Orthodox Church makes remembrance of the exile of the first-fashioned, Adam, from the Paradise of delight. He honored me as ruler on earth over all things visible and as a companion of the Angels. But Satan the deceiver, using the serpent as his instrument, enticed me by food, separated me from the glory of God and gave me over to the earth and to the lowest depths of death. But as Master and compassionate, call me back again.